The OMEGA team is available from 8am to 6pm EST, Monday to Friday. 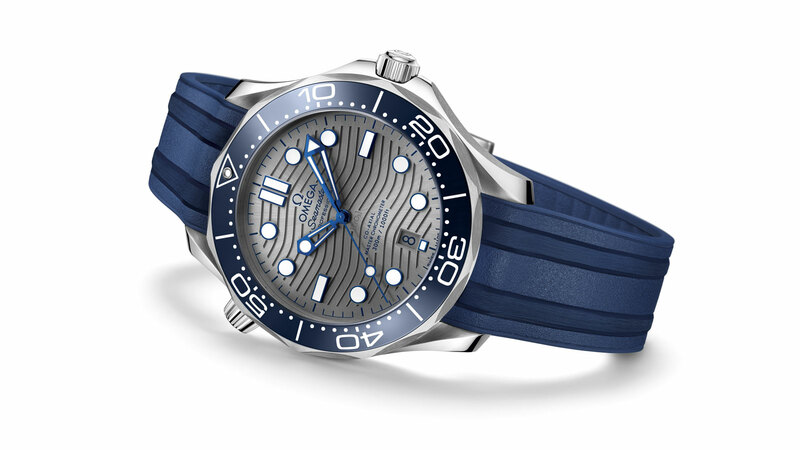 Since 1993, the Seamaster Diver 300M has enjoyed a legendary following. This year, the collection celebrates 25 years with a full makeover from the inside out. 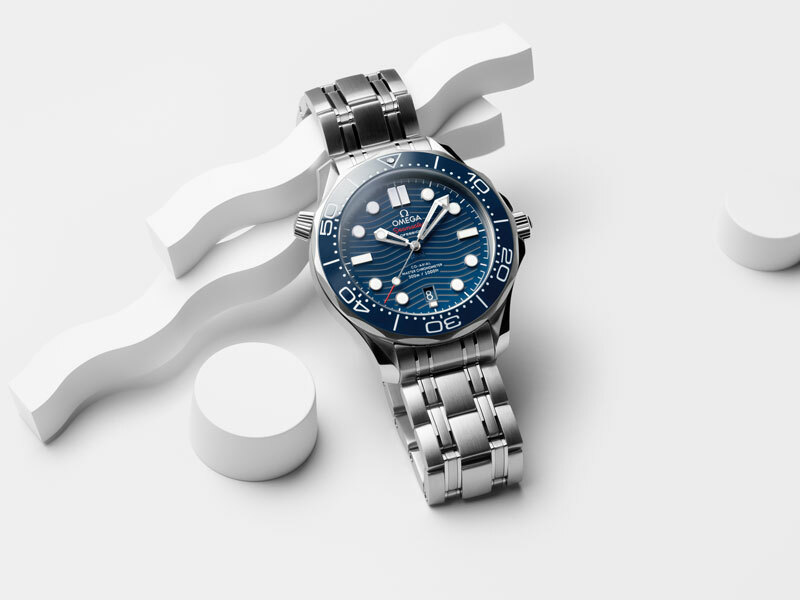 The original design and ocean spirit are still there, but now with advanced materials and updates in every model. Now sized at 42 mm, every design detail has been rethought, including a new ceramic bezel with the diving scale in Ceragold™ or white enamel. Inside, the watches include the Master Chronometer Calibre 8800, instantly taking the collection into a higher realm of precision, performance and magnetic resistance. "On the bezel, white enamel offers longer-lasting whiteness and durability." 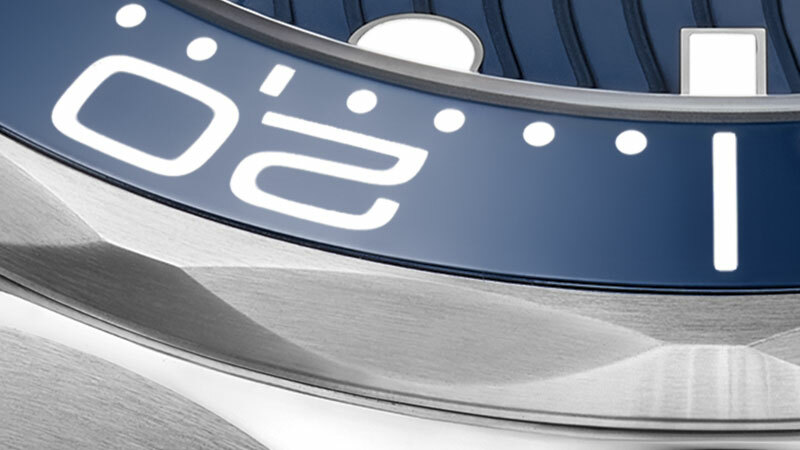 The sleek dials are made from ceramic and are available in black, blue or PVD chrome colour. The popular wave pattern has been reintroduced (now laser-engraved) and the indexes have been raised and filled with Super-LumiNova. Even the skeleton hands have been subtly reshaped. 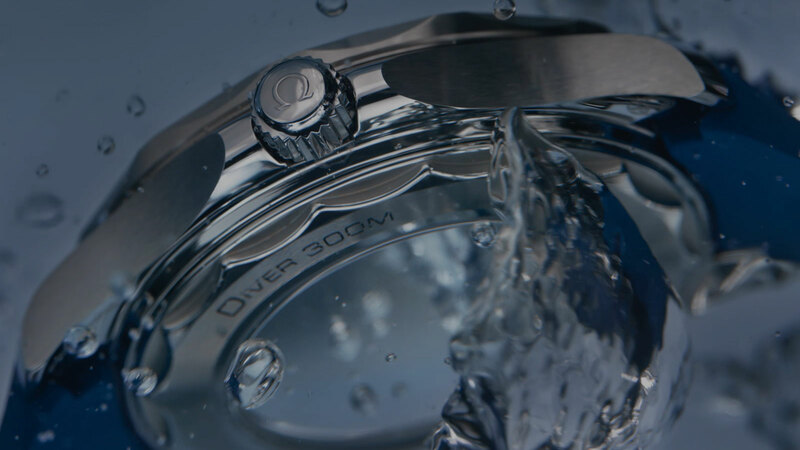 One of the Diver 300M's most important details has always been its helium escape valve. 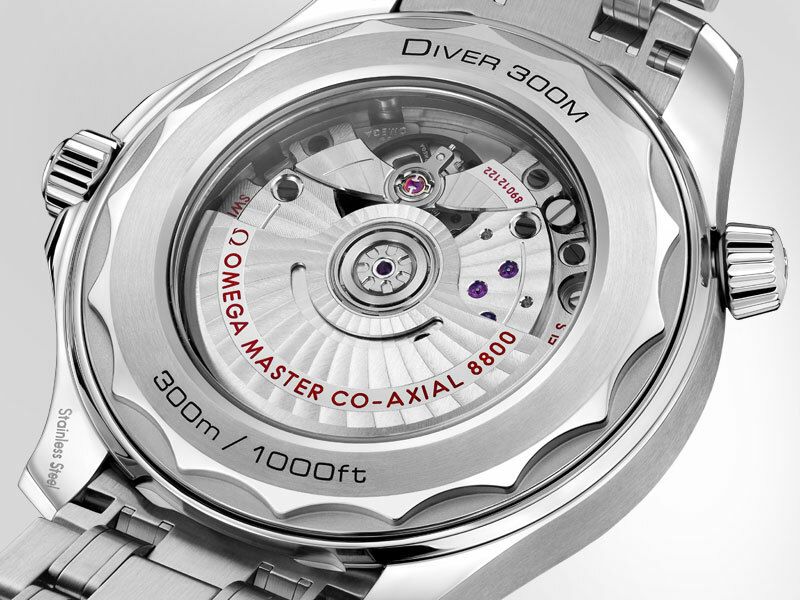 For the new models, the valve has been given a conical shape and has been patented by OMEGA with an ingenious technology that allows it to be operated underwater. "Adding symmetry to the watch, the date window has been moved to 6 o'clock." Turning the watch over reveals a wave-patterned edge on the caseback, as well as sapphire crystal, through which you can see the METAS-approved Master Chronometer Calibre 8800. 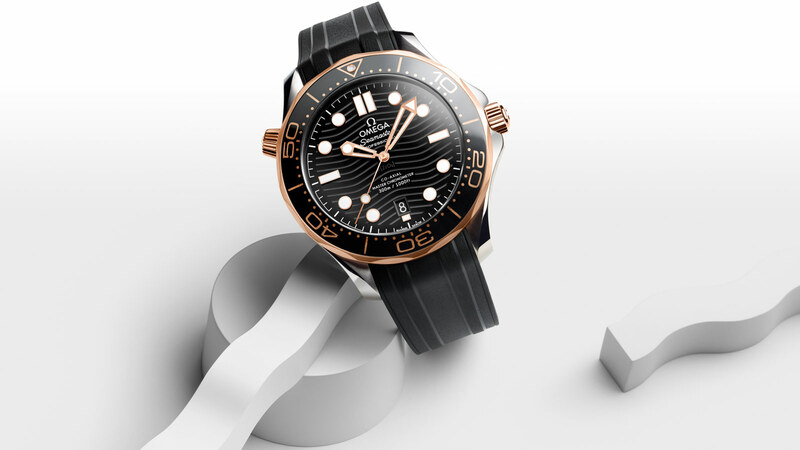 In total, there are 14 new Diver 300M models, including 6 in stainless steel and 8 in a mix of stainless steel and gold. Each model is presented on an integrated black or blue rubber strap, or a traditional metal bracelet (with a new ergonomic design and a patented extendable foldover rack-and-pusher with diver extension). 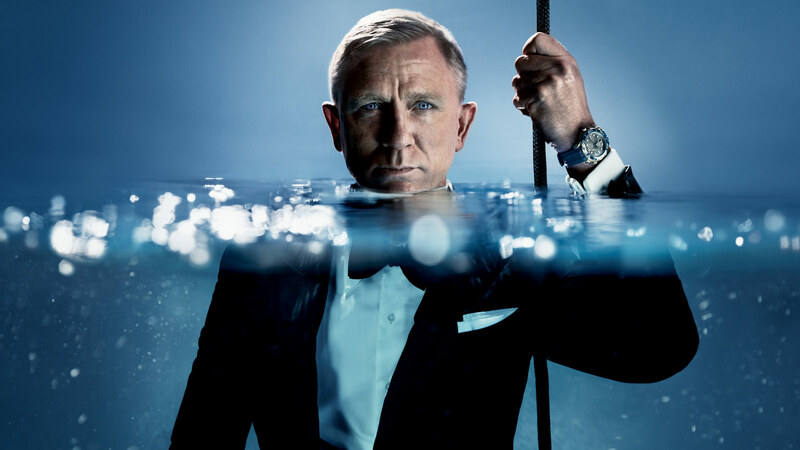 OMEGA's Seamaster Diver 300M collection includes 43.5 mm models crafted from ceramic and grade 5 titanium. Powered by the Master Chronometer Calibre 8806, they feature a bezel and laser-engraved dial in black ceramic and can be worn on an integrated black rubber strap or striped NATO strap. Limited to 2,500 pieces, this rare model follows an original 1993 design by using tantalum for the base of the bezel, as well as in the bracelet. The metal's blue-grey tones offer a subtle contrast to the grade 2 titanium and 18K Sedna™ gold, which are used for the other features of the watch. 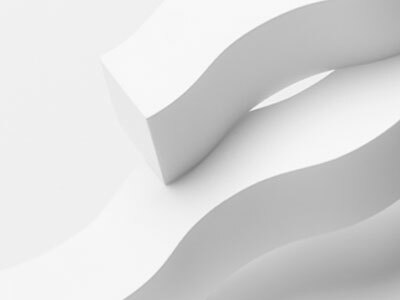 Most orders are approved and processed within 2-3 business days. If a band adjustment is needed please allow an additional 2-3 business days for the watch to be serviced. Please allow additional processing time for orders placed on official US holidays. At this time, we do not ship on Saturdays and Sundays. Signature will be required for all orders. We want you to enjoy your item as soon as possible, therefore all orders will receive complimentary 2nd Day shipping unless otherwise noted. 2nd Day shipping will be applicable to all orders upon proper processing and approval. OMEGA will gladly ship to the 48 contiguous states as well as Washington D.C., Alaska and Hawaii. For clients in Puerto Rico, please contact your local boutique. We are unable to ship to PO Boxes. Customer satisfaction is our goal. 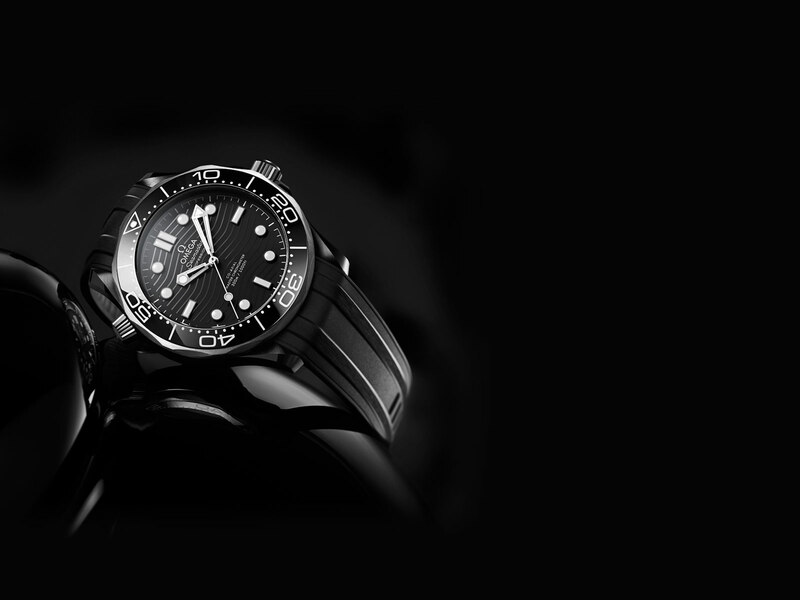 If you are not satisfied with your product, you may return any unworn, undamaged merchandise purchased online from www.omegawatches.com by mail within 14 days of delivery for a refund of the purchase price, provided that the merchandise is original quality and has not been damaged.Returns are only applicable to orders made on www.omegawatches.com. Returns are not accepted in the boutiques. Any watch that fails quality inspection from Customer Service (e.g. scratches, worn, damaged) will be returned to you and no refund will be issued. Any products that are personalized (embossed, engraved, etc.) cannot be cancelled after purchase. We reserve the right to reject personalized items without providing reason. Personalized, engraved or embossed products cannot be returned. To request a return, please visit your MyOMEGA account to print out your return label. Let us know why you are returning your item by completing the survey on the back of the packing slip and returning it with your merchandise. The item must be returned with box, warranty cards, user manual, gifts with purchase (if applicable), and any extra links due to bracelet sizing. In order to expedite your return, you must choose the appropriate reason code for your return on the packing slip. Carefully package merchandise to prevent damage in transit. We recommend that all returns and exchanges be sent by UPS or FedEx with a valid tracking number attached. We are not responsible for items which are lost, stolen, broken, or damaged during the return process. All refunds will be issued in the form of the original payment. Every OMEGA watch is warranted for a period of sixty (60) months. It covers material and manufacturing defects existing at the time of delivery. During the warranty period and by presenting the valid warranty certificate, you will have the right to have any defect repaired free of charge. This includes the repair or replacement of any spare parts and/or rectifying any faults as identified by our Customer Service. In the event that repairs are unable to restore the normal conditions of use of your OMEGA watch, OMEGA guarantees its replacement by an OMEGA watch of identical or similar characteristics. The warranty does not cover normal wear and tear or damage caused by accidents or negligence. 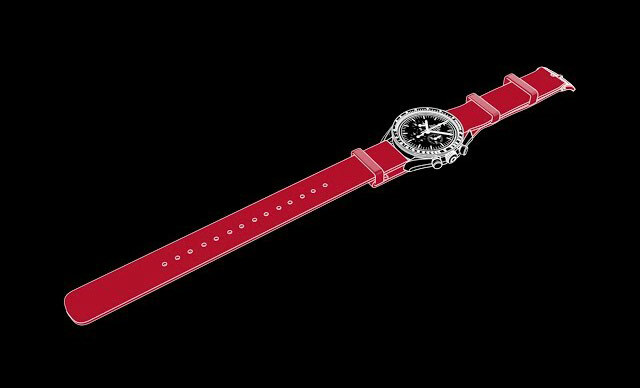 The warranty is rendered void if work is carried out on the watch by persons who are not authorised to do so by OMEGA. 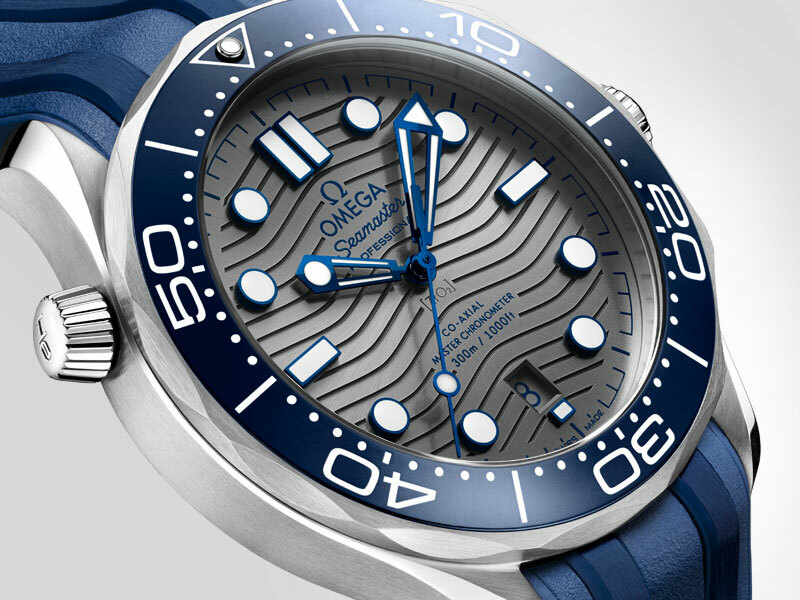 OMEGA is proud to include the Swiss Made mark on all of its watches. This simple wording guarantees a standard of quality that has been established over many centuries and is today a world-renowned symbol of excellence. Every part of an OMEGA watch is made in Switzerland, which goes far beyond the industry’s required standard. This means that the manufacturing levels as well as the aesthetic and technical levels meet Switzerland’s highest demands. On top of OMEGA’s own proven excellence, the Swiss Made mark provides customers with even more assurance and trust in the watch they wear on their wrist. OMEGA pays attention to online security. We take the privacy and security of your payment and personal details very seriously. We use SSL encryption technology for online transactions to protect your card information. The following methods of payment are available: VISA, AMEX, MASTERCARD, DISCOVER, PAYPAL AND AFFIRM. OMEGA processes payments via Datatrans. 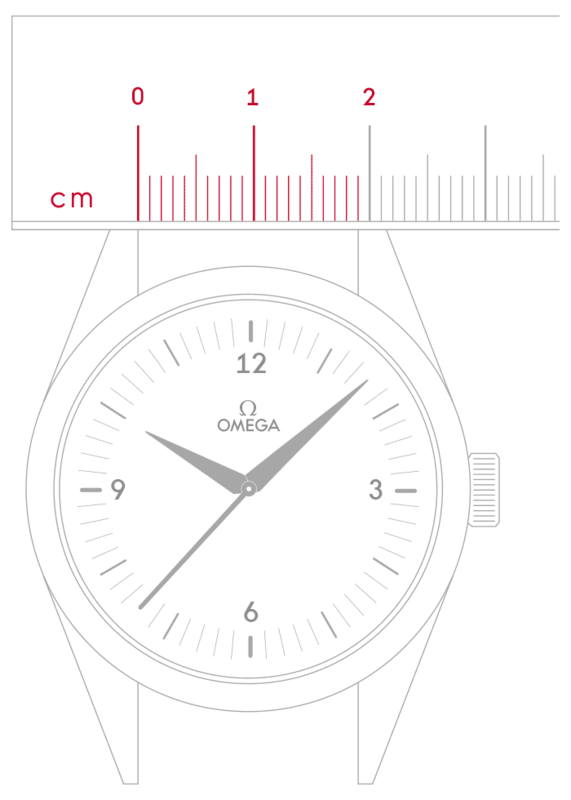 To find the size between the lugs of your watch in millimetres, you can either measure it with a ruler (as seen in the illustration) or find this information in the technical data section of your watch’s online product page.